Workers at California Pacific Medical Center picketed on Thursday to protest the elimination of 200 jobs and CPMC’s collusion with SEIU, a union almost 80 percent of workers rejected months ago. A majority of workers voted unanimously to hold the informational picket. Fresno County personnel managers deemed valid a petition filed last month to decertify the Service Employees International Union’s United Healthcare Workers-West (SEIU/UHW) as the bargaining agent for workers in the county’s In-Home Supportive Services Public Authority. It’s part of a bitter statewide battle between the established union and the upstart National Union of Healthcare Workers, launched earlier this year by former SEIU/UHW officials, over representation of nursing-home and in-home health workers in labor negotiations. The dispute is flaring as Fresno County prepares to slice caregivers’ wages and benefits by more than $1 per hour to make up for similar cuts by the state in its support for such programs. 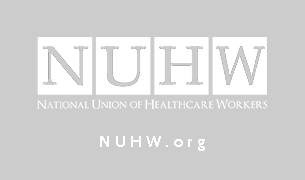 Fresno, Calif.—More than 10,000 in-home healthcare workers in Fresno County will get to vote in an election to join the National Union of Healthcare Workers (NUHW) and quit the scandal-plagued SEIU. On Thursday, the County Department of Personnel Services validated a petition filed last month by thousands of caregivers calling for an election. “We’re voting for NUHW so we can stay united with the tens of thousands of other healthcare workers in California,” said Flo Furlow, a homecare worker in Fresno.